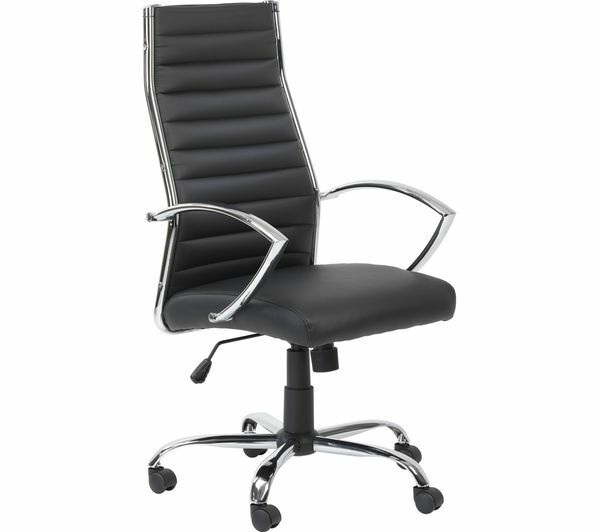 The elegant Hartford Leather-look Tilting Executive Chair combines style with practicality making it an ideal addition to your workspace. 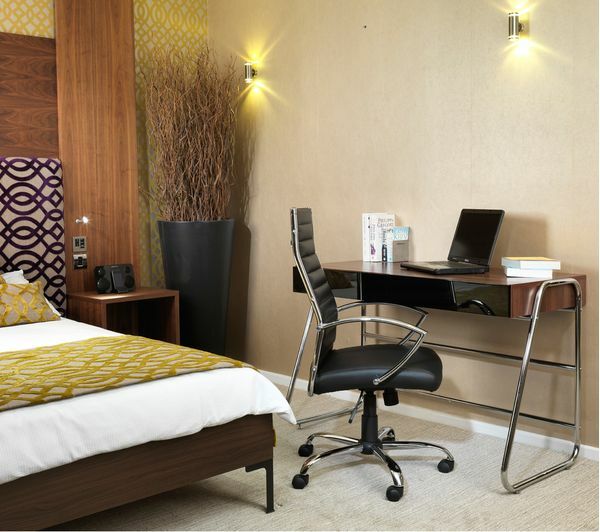 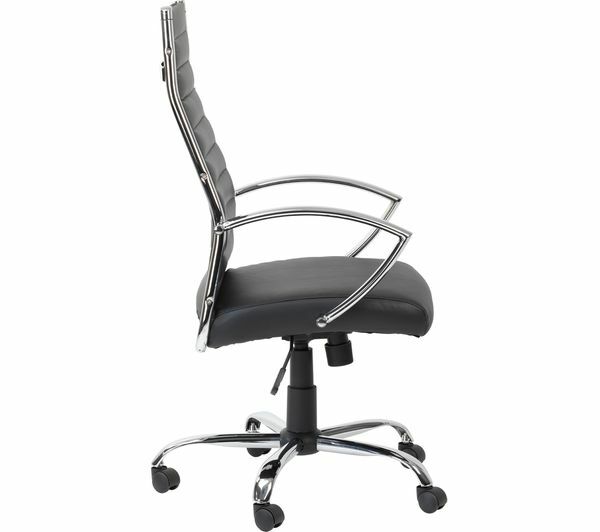 With a back that curves to your spine you'll benefit from better support - work in comfort all day. 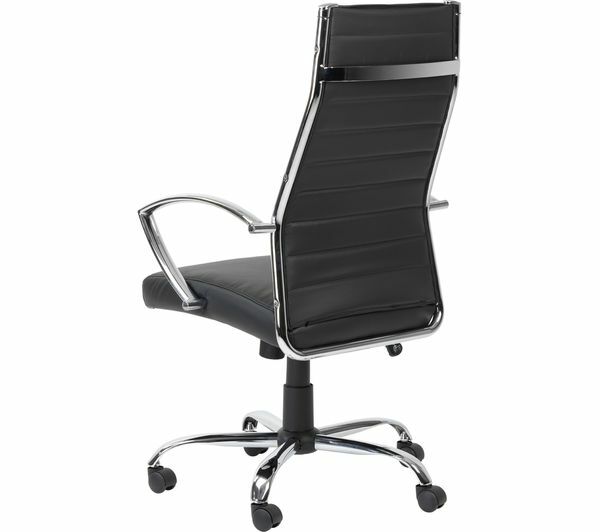 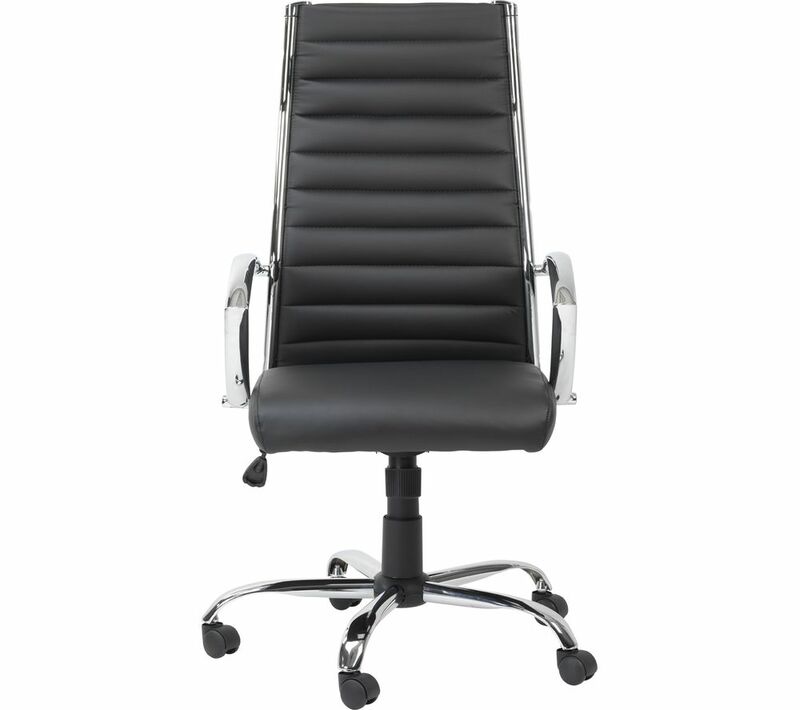 Adjustable height and tilt lets you position the chair exactly how you like to sit, its chrome arms and rippled faux leather finish mean it looks as good as it is comfortable.